Many newborns acquire jaundice, a condition characterized by a yellowish tint to the skin that is caused by a buildup of bilirubin (a breakdown product of red blood cells) in the bloodstream. In most cases, jaundice is not a cause for concern and goes away without treatment. In about 12% of cases, however, levels of bilirubin are persistently high and may result in brain damage and possibly even death. Fortunately, the treatment for such serious cases of jaundice is simple: expose infants to blue light for 2-3 days to reduce levels of excess bilirubin in the blood. Unfortunately, this solution is often inadequately implemented due to cost and resource limitations, resulting in over 6 million babies annually that have severe jaundice but do not receive proper treatment. To combat this and other issues, Krista Donaldson, a lecturer at Stanford University’s Hasso Plattner Institute of Design, founded a Palo Alto-based non-profit product development company called D-Rev (funded by both the Mulago Foundation and the Bill and Melinda Gates foundation) with the vision of “delivering affordable and world class products that improve the health and incomes of people living on <$4 per day.” Thus far, the small D-Rev team has worked or is currently working in India, Haiti, Nepal, Ecuador, Uganda, Kenya, Tanzania, Nigeria, Sri Lanka, Botswana, Bangladesh, and Iraq, with the issue of inadequate jaundice treatment being one of the primary challenges the D-Rev team is hoping to overcome. In order to do so, D-Rev has teamed up with Stanford Medical School to perform a study of medical facilities in India and Nigeria. 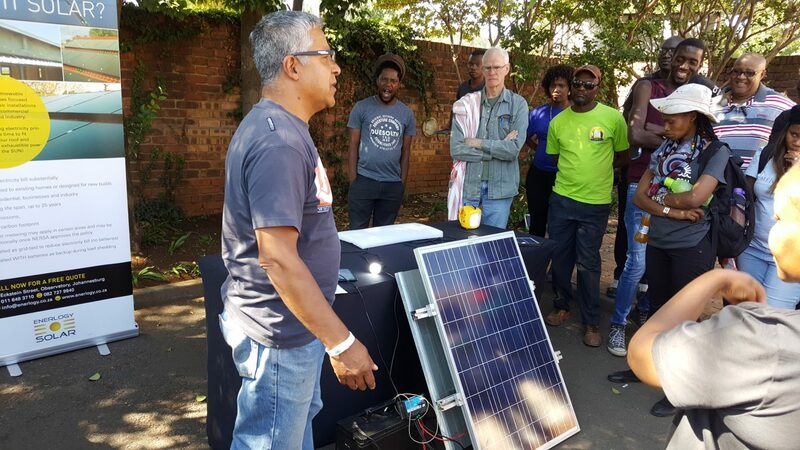 Through this fieldwork, D-Rev determined the unmet need for phototherapy alongside the frequency with which poor irradiance levels are delivered in medical facilities. They discovered that 95% of the facilities they evaluated did not meet the standards of phototherapy set by the American Academy of Pediatrics, and about a third of the phototherapy devices observed had one or more bulbs burned out or missing. In addition to showcasing these results at the 2011 Pediatric Academic Societies (PAS) and Asian Society for Pediatric Research (ASPR) conference in Denver, Colorado, the D-Rev team also presented the design and specifications of their innovative LED-based solution to the problem – Brilliance – and showed that this tool has significant potential to reduce infant mortality and brain damage resulting from serious cases of neonatal jaundice. The Brilliance LED lasts 16 to 25 times longer and consumes half the power of the blue compact-fluorescent bulbs generally used to treat infants with severe jaundice. Moreover, Brilliance LEDs can run off back-up battery power, useful when power outages occur. Best of all, the product is valued at less than $400 making it more than 85% cheaper than traditional phototherapy technologies, which typically cost around $3000. 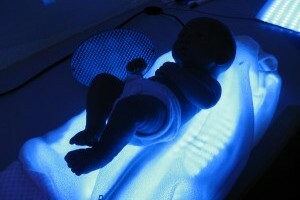 A single Brilliance device can treat nearly 420 newborns prior to LED replacement; by contrast, current phototherapy devices can treat approximately 85 babies before requiring bulb replacement. Brilliance holds particular promise in India where the traditional blue compact-fluorescent bulbs burn out quickly and are expensive to replace. The D-Rev team’s goal is to treat 2 million newborns in the next two years in India alone. In order to do so, the team has partnered with a Chennai-based company called Phoenix Medical Systems through a licensing agreement that seeks to incentivize sales to public hospitals in countries listed by the United Nations Human Development Index as “low or medium resource-limited.” The agreement is particularly well placed, since Phoenix Medical Systems has distribution channels not only in India but also in Europe, the Middle East, and Africa – areas to which D-Rev may expand. Donaldson states that though the team does have minimum royalties on products alongside licensing deals, their real measure of success will be based on “how well (they) treat children who wouldn’t otherwise receive treatment.” Both Donaldson and John Dawson (chairman of the board at D-Rev) feel confident that the Brilliance product will have a huge impact, saying that “D-Rev has identified both a need and a demand” for this medical intervention, rather than simply one or the other. Given that Brilliance is in early-stage distribution, we will likely see the results of this new technology soon. The potential for success is high, for Brilliance manages not only to optimize quality of care but also keep product costs low – an ideal combination for sustainable implementation in the developing world. This is a model that companies similar to D-Rev ought to emulate and one that social enterprises (such as Embrace) have successfully employed in the past. To stay up-to-date with D-Rev’s development, keep an eye on the team’s blog to see how Brilliance is saving lives of infants in the developing world.